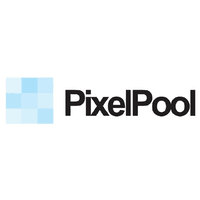 PixelPool are market leaders in developing digital solutions for the apparel retail industry. Through their unique experience, triple-A clients and extensive 3D apparel library, they help clients save valuable time, money and resources in their communications, sales and production processes. All while providing them with the means to elevate their overall abilities to showcase, present and sell their collections in-store and to wholesalers. PixelPool empowers the fashion industry, making brands more agile, sustainable and cost-effective through virtual technology.